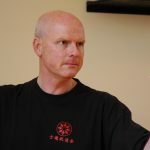 Tai Chi Ch’uan is often translated as ‘The Supreme Ultimate’. 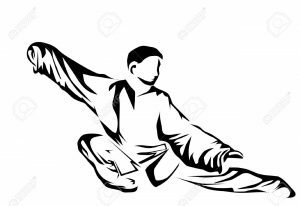 Tai Chi form consists of a sequence of smooth and flowing movements performed at a slow rhythmic pace with co-ordinated breathing, full concentration and attention to good body alignment. Tai Chi can have a number of health and wellbeing benefits. By using a natural range of movement it is designed to improve the flow of ‘life energy’ – Chi (or Qi) – through the body. Tai Chi’s gentleness helps to ensure that anyone practicing does not suffer strain or other muscular injuries. It can improve flexibility, coordination and balance. A moving meditation, T’ai Chi Ch’uan can help with managing stress, and promote a sense of inner peace and tranquillity. Tai Chi benefits people of all ages, culture, religion, lifestyle and belief who practice throughout the world. The gentleness of the Taoist physical culture helps with increasing strength, stamina, co-ordination, and flexibility whilst developing a flexible and supple body. All styles of T’ai Chi keep to certain basic principles to ensure effectiveness as a martial art and maximise the health benefits. By adhering to these principles, good body alignment and natural range of movement and articulation can develop without force or impact. The lack of force leads to relaxation and can improve circulation, reduce blood pressure and stimulate the immune system. Regular practice can lead to an improvement in stress related illnesses; it may also have a positive effect on general health and well-being, and may help to bring increased vitality. Taoist exercise develops the physical body, enabling it to achieve and maintain it’s natural potential for health and fitness with coordination of movement. Coordination improves, as does sensitivity and balance. Self-discipline and bodily control are the first steps to personal growth and development. The growth in physical control and stability is reflected in the form of a balanced mind, capable of making rational decisions and taking responsibility. T’ai Chi calms the spirit. Sharpens the faculties and improves sensitivity and awareness. Meditation stimulates and clears the mind, which becomes free, active and spontaneous. Good breathing, balance and a calm mental state help to stabilise the emotions. The physical and mental exercise provides a healthy channel for emotional energy. The Arts can help stimulate and release blocked energy and facilitate positive emotional expression. The Taoist philosophy of Yin and Yang is inherent in all phases of growth and development. In it’s highest application the Taoist Arts teach the principles of natural spiritual growth.